This week I finally managed to finish the photos and the edit for The Pacas Are Coming! ZuZu and the Crias. It’s actually the January chapter of A Berkshire Tale. I initially wrote the stories separately but on advice from an editor at Penguin Books, I revised and compiled the ten stories into one book centered around the first year of a kitten’s (ZuZu’s) life on a farm in Tanglewood, Massachusetts – one of my very favorite places. Since I’d always had envisioned them as ten separate books in a series with lots of illustrations, I decided to begin with the Alpaca story. This book will have a larger format and more pictures of the animals on each page, making it easier to read to children when I visit classrooms. I don’t know how many of the stories I’ll publish separately. I’ll tackle the shorter ones first. And I’m still looking for an illustrator to do the later ZuZu Books in the series that are not yet published. I have the new stories written, but no illustrations. 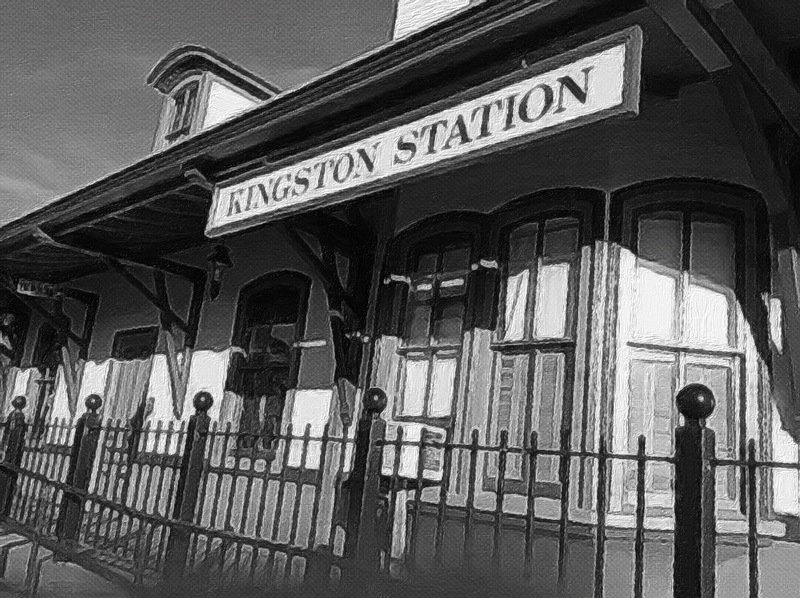 Needless to say, editing Last Train to Kingston (my local murder mystery) has been placed on hold and keeps nagging me, in the late night hours, for the attention it needs to get it ready to print. And then there’s always Roxie prodding me to write a book about her. So, that’s what I’ve been up to for the past month or so. Also, I’ve been reading other bloggers’ posts, which is something I love to do. It’s been drab and dreary and damp here in Rhode Island. I’ve been spending time with Andy Smart in South East Asia, Mary Smith in Afghanistan, and with Russ Towne’s whimsical characters adding much brightness to this spring drizzle. I did reviews of their books on Amazon and encourage other bloggers to do the same for books they’ve enjoyed. I’ve come to realize that this is an important part of supporting other writers and spreading the news about their works. There are many more bloggers who’ve published books which I eagerly anticipate reading in between my own writing. And of course, I’ve been visiting blogs because I’ve come to really like hearing what’s going on in your lives and I find lots of inspiration in those posts. After reading blogs of novice writers who’ve expressed a desire to get a book into print, I thought I’d spend some time discussing some of my experiences with publishing a first book to encourage them to try it. My attitude is: If I can do it, I know you can do it. #1. 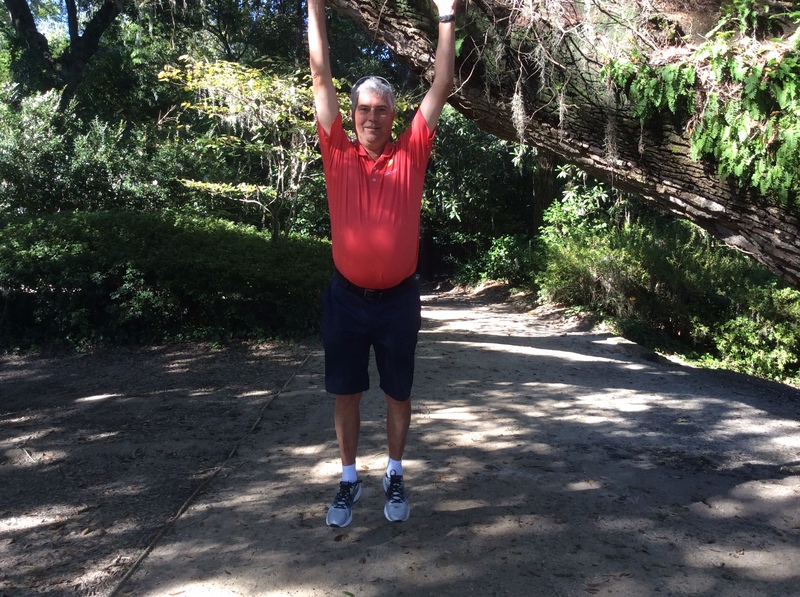 I started out on this “journey” when I was 64. Most of you out there are much younger than that. Many of you have both the personal support in your lives and the added support and advice of other bloggers which is evident in all the caring comments which follow your posts. This is truly a valuable resource and right there at your fingertips. #3. Not having blogged, I really didn’t know very much about what my writing style and my strengths would be. After over a year of posts and comments, I have a new-found confidence in what works for me. And I feel more comfortable with my own writing style. It’s a lot easier to get the words on paper, to say nothing of the self-discipline developed by posting regularly. You’ve been honing your craft with your posts and getting an idea of what people like to read all along. This practice and discipline will be invaluable when you choose to write your book. #1. Most publishing companies require you to submit your work through an agent and getting one is a learning experience in itself. A good agent will help guide you through the publishing process and will take a cut of your profits once a book is in print. #2. If your book is to have illustrations, the company will assign you an artist they feel will fit well with how they envision your book to look. #3. It can take two or more years to get your book in print and on the shelves, depending on the number of titles a company publishes each year. The smaller presses have a much longer time frame. #5. Although a company will place your book into bookstores for you, you will still be expected to help promote your book and the powers that be may decide where you need to go in order to do this. #1. This is a viable alternative to traditional publishing. But you really should have some basic skills to take this on. #2.You need to be able to write well, to edit your own work and then find a reputable place to get it formatted and printed. #5. You’ll be responsible to market your own book. That means visiting independent book stores to ask if they’ll take it on consignment; reading or speaking to groups; sitting at country fairs or other venues and promoting it. This will make a difference in how many books you manage to sell. Depending on your personality and your expectations, this can be fun or it can be hell. Self-publishing works well for me. I’ve found a reputable local press I trust to format and print my work. I like touting my book and meeting people and I’m not looking to make a huge profit. I’m a control freak and don’t relish the idea of giving away control of my book rights to a large company. I enjoy writing and love seeing my books in print and getting them out to the public, but prefer choosing how and when I’m going to do this. In order to self-publish, you’ll need money to back your initial costs. Books printed with colored illustrations are more expensive than a book composed of just black and white text. There will be initial set up costs for formatting your book properly and then the printing cost which is usually figured by the page. There are other ways to self-publish and these involve online resources. I haven’t tried these as yet, because I like the people I’m entrusting with my work. I may use them in the future when I have a book with only text and no illustrations. These are some of the things I learned as a novice who knew nothing about getting a book into print. When I finally realized that traditional publishing was a difficult process, particularly without an agent, the thought of doing it myself wasn’t so intimidating. Now, there are bloggers with much more insight into the publishing world and they have valuable experience behind their advice. Seek them out. I didn’t think I’d post this weekend because my head is a bit fuzzy with all the reading and editing and taking more photos and then there’s always the laundry and the food shopping and the cooking and the dishes and the sweeping up. Not to mention spending time with friends and family. But I’m preaching to the choir – that would be the choir of bloggers who post in between the comings and goings of their every day lives. To them I say, “Keep the music playing. It makes a lovely sound here in the woods of South Kingstown while I wait for the sun to come out.” Maybe tomorrow? Roxie aka “The Other Cat” Is Bored ! Thank you for the shout-out and information for newer authors, Clare. I enjoyed reading your first book and look forward to reading your next one. I’m especially interested in reading your murder mystery when you have a chance to finish it. I think those alpacas are the cutest things I’ve ever seen! So cute and love all your information, too! I wasn’t going to post this weekend but was inspired by a blogger from Ireland who wants to write a book. I think it’s the longest post I’ve ever done. Thank you. I was actually just visiting you. You are so encouraging with everyone who comments on your blog. I love comments, even on other people’s posts! Thank you for stating the pros and cons so clearly. I’ve been playing around with writing a book, it keeps changing course as I write it (honestly, these characters won’t behave and do what I tell them! ), so I’ve no idea where the heck this thing is going. The writing of it is a blast though, so maybe that’s all that matters. Also, love the idea of a book about Roxie! Thanks, Marina. I’ve learned that a self-published author has to keep on publishing to become successful, so I guess there’ll always be something in the works. 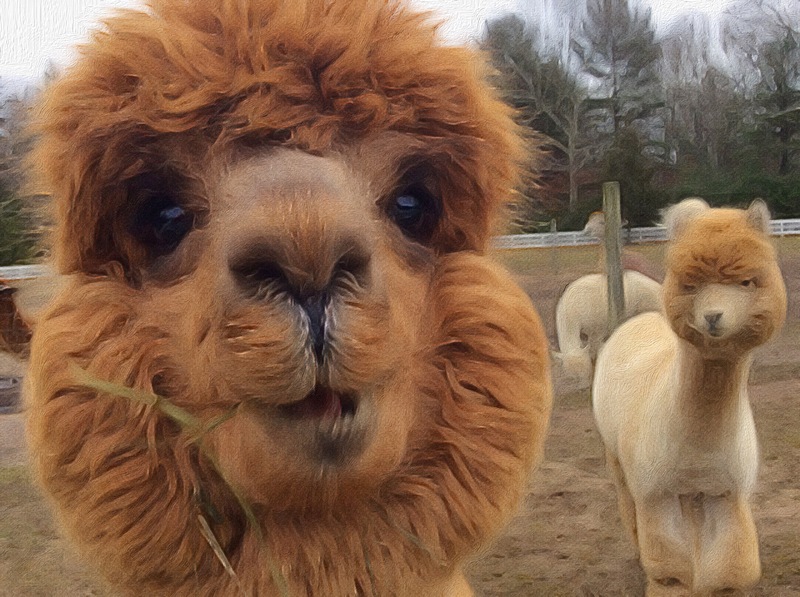 The alpacas look so cute and smiling. Self vs traditional publishing is a question that I guess nags all authors when they start writing. Thanks for sharing your observations on these. Yvette, I’ve been enjoying your newsletter. Terrific post filled with lots of really good practical information for writers, not to mention those really fun pictures. Thanks for sharing. What a fantastic insight into writing and publishing world, I smiled several times while reading and still feel that my lips are curved in a smile! You do have a great entertaining and very light writing style, such a pleasure to read and look at your marvelous photos. I may tell that you a person with a very positive mind and it attracts people! I am happy to hear that your self-publishing works for you, sounds great! I also like writing, but I suppose never dare to do something serious like that, I am so lack of experience and knowledge as well! Pure enthusiasm won’t be enough, I suppose! However, thank you so much for your advices, I found out a lot! Have a wonderful weekend, hope not as busy as you described! I live very far from you, but weather is not the best, raining! Oh, Clare, you show such a great encouragement, thank you a lot! Although I am not so sure in myself yet, I should learn a lot! Thank you for your readiness to help me, I appreciate it so much! I’m counting on it, Terry. I need to stop by your blog to find out what’s been happening with your moving plans. I’ve been away for two weeks, so hopefully I’ll find out that you’re coming to the east coast – Maybe even New England!!! Great information, Clare. I love the pics too. Thanks – But you can’t lose when photographing baby lambs and fuzzy alpacas! The nearby university has a farm where I take some of these pics. Last week, the baby goats were born. They are so frisky that all of the photos I took of them are blurry. They never stopped moving. 💐 They are all so cute! Great writing entry! You delineated well the process of publishing vs. non-publishing.I am toying with the idea of CREATE SPACE on Amazon…but I am not sold on it yet. I have the same fear you have—losing control of what I have written. I think I would prefer to go with a smaller, local printing press company–that is also because I would like to support local companies vs. corporate giants. But–who know! I may cave! On another note, I think your animal photos are terrific! I love the rooster on the garbage can! and those close up faces of the llamas are priceless! Best to you in your endeavors! You have so much LIFE ENERGY and you inspire me to keep going forward! Thank you! Hi Jo, thanks for the visit.I always love it when I go to stats and your lovely face is smiling at me in the comments section. I never got into Create Space because I’ve yet to use it. But I do know some who really like it better than most of the on-line choices. One thing I’ve noticed is you really have to edit the work carefully. I see lots of errors with the online books. I don’t think this will be a problem for you if you choose this method. Yes, I feel exactly the same about local presses and there is always a live person to discuss ideas. You were one of the inspirations for this post, although there are many other bloggers who write wonderful posts but are hesitant to publish their work. I take my animal photos from the farm at the university and the alpaca photos are from a another farm nearby. The little Ginger-colored one has the most serious face and he follows me around trying to get my attention and kiss me. And his name is Charlie just like my husband, Charley. So you know who’s my favorite. I’ll be going by the alpaca farm today to pick up some poo for my gardens.It’s great fertilizer! I am struggling with many things at the moment—so I do not know IF I will get to the publishing avenue ot nor…but you are encouraging! If ever you notice something that I should correct, do not hesitate to tell me! I would appreciate it immensely! Jo, I find that when I blog, I’m in too much of a hurry to post and I find errors I should have caught, after the fact. It’s the nature of blogging and expected, because it happens to all of us. Your writing is really polished and well-thought out. i’m sure your future book will be the same. Because of my impatience, I stand more of a chance to make errors than you do. Oh, Clare, thank you for the lovely review of No More Mulberries. I didn’t know you had posted it until I read your blog post. I’m so pleased you enjoyed it. I love the photos in this post and your summing up of the traditional publishing versus indie publishing is spot on. I think new writers should be aware that promoting their books is down to them even if they are traditionally published. Publishers only spend money on marketing for a tiny percentage of their writers – the ones they know will be best-sellers. I didn’t know any of this side of the publishing business when I started out and it’s been a steep learning curve! Those are great pics! I’ll bet you enjoyed yourself as well. Thank you and yes, animals are great subjects. I’m lucky enough to live in an area that has farms filled with photogenic subjects. Doing the alpaca book has been lots of fun and I can’t wait to see the first galley. I’m going to visit the alpacas this weekend and bringing them carrots. That will make me really popular in the barnyard! Great post Clare. It’s always helpful to hear about the experiences, choices and views of other writers. It adds some practical information to a sea of theory. Thanks! 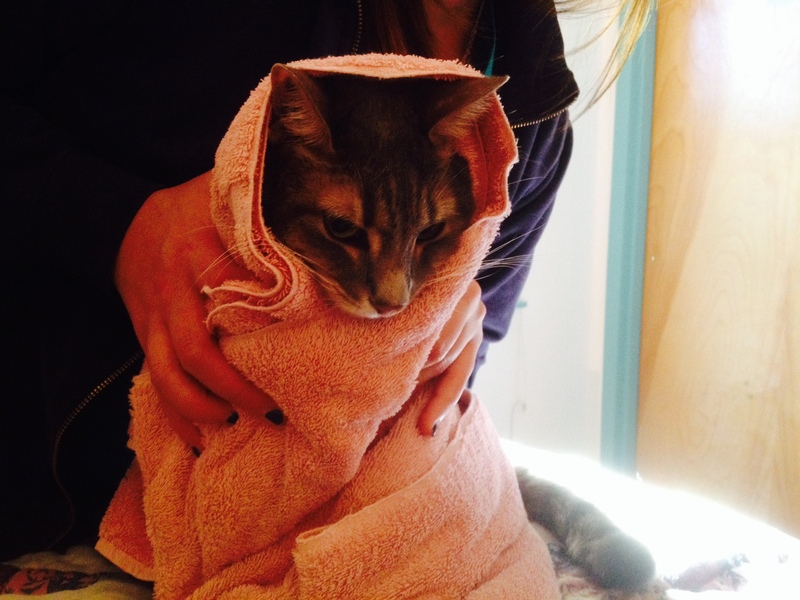 Lucinda, I learned very quickly that cats are blog magnets. Always include “cats and kittens” in your tags. I understand what you are saying about the media world and publishing seems a bit ruthless to me. I see so many best selling authors being touted and they don’t even put the time in any more – Ghost writers, formulaic plots, redundancies – And there really are so many excellent writers who never get a foot in the door. It really is nice to have choices. This is so helpful Clare.Thanks for your valuable advice. I will definitely explore the option of self publishing. Can I just say that, (as her new best friend) I think you must write a book about Roxie. The world needs to know more about this cat! I also love your photos. How come your alpacas look about 100 times cuter and cuddlier than any alpacas I’ve ever seen here??? Marie, you were one of the people I thought about when writing that post. Take your time and know when you are ready to undertake the publishing process, you have choices. Other bloggers have wondered why I have 2 cats and only one of them has a book. That’s how the Roxie aka “The Other Cat” posts began and now her fan club is expecting a book from her. I will definitely put it on my to do list. I totally agree with you, the two alpacas (Buzz and Charlie) I chose for A Berkshire Tale are absolutely beautiful creatures. I think it’s because the people who own the farm where they live are beautiful themselves and really care for their animals. They are the greatest people and I love that the alpaca story caused us to meet. The two alpacas in the book are girls named Twyla and Ginger. I originally planned them to be Ginger and Fred but learned that boy alpacas are separated from the girls because they are more aggressive. So the real alpacas, Charlie and Buzz, became Twyla and Ginger so I could keep them together through all of the succeeding stories in the series. You have to be flexible to be a writer. I’m going to the farm this weekend to pick up some alpaca poo to fertilize my gardens. Pretty and useful, too! That is so nice of you Clare. I really appreciate that. 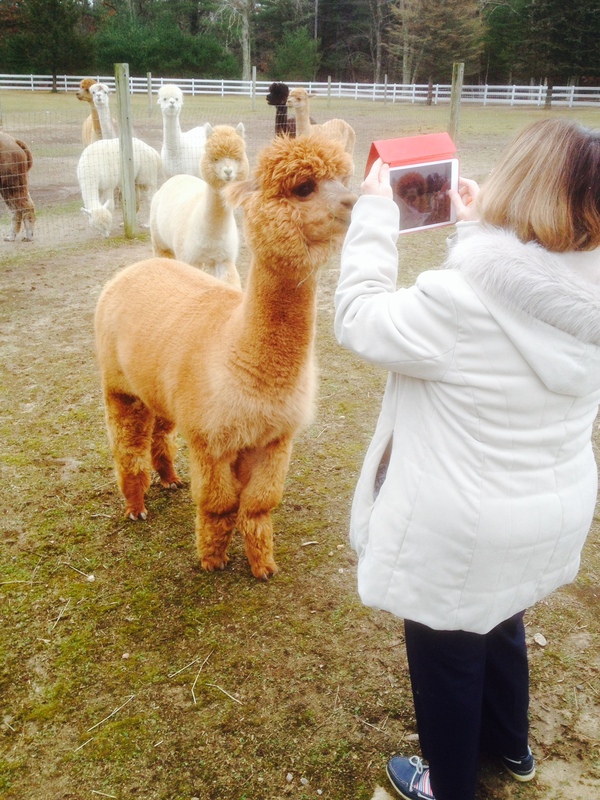 Have a lovely time at the farm with those handsome alpacas! Osyth, Thank you and although it’s a quite simplified version of how to negotiate the initial stage in the publishing journey, I wish I’d known about these hurdles when I first began. It would have saved me so much time. With age and experience sometimes comes wisdom! By the way, I think that there is much to be said for coming to writing later in life …. Mary Wesley (in my opinion one of the finest writers of the 20th Century) wrote all of her published works in the last 20 years of her 90 year life! l’Haricot sends her good wishes from her basket where she is preferring to bask than risk the still rather chill weather outside! My dearest Ethel, I do believe you have an error there, you CANNOT have meant your age was 64. As we are only 35, surely you meant 24 or 34, right?? And please, quit talking about dishes! You’re giving me hives! I KNEW it had to be an error! You couldn’t have written the book before we were born!! Oh, I can’t wait! I’ll be shopping for a purple dishwasher, right away! Hmmm, choosing between hues of purple is SO hard!! Maybe a patchwork of every one I can possibly squeeze on there?? I’m here for you too. And of course, Roxie! I knew it! You couldn’t possibly have written the book before we were born! Alright! I’m going shopping for a purple dw immediately, then!! It’s so hard to choose!! Maybe a patchwork of every shade I can possibly squeeze on there??? I’m here for you too. And of course Roxie! Patchwork purple sounds magnificent! Put it on my account! Buy two! Roxie sent you an e-card with music. hope it got there. It’ll be in the mail, just as soon as it oozes outta my brain on the screen! Yes, it did!! Thank you so much! Her cards are gorgeous! Thank you for covering the self-publishing side of putting a book out there. Very insightful. I feel like more and more writers are taking that route lately, especially if they have a good social media base and a blog in their arsenal. We’re in the works of putting together a workbook and are thinking of going down the route of self publishing when we get there. More good info 🙂 Thanks Clare! Nice overview of publishing, Clare! I also loved all the animal pictures especially the face of the alpaca! Looks ready to step right into your book…sort of a Dr. Seuss look to me! Most of all, I am glad to hear you are working on a Roxie tale! Does she know, or is it a secret? …worries me a little, though. Next thing I know Nessa will be nagging at me to do the same! Have to get the gardening dirt cleaned off to get ready for a wedding, but I had to stop by since I have been a little distracted and out of touch lately. May the rain stop, the editing start, and all your ducks stay in a row! How is he feeling with the treatments? And how are you holding up? I’m so glad Charley is doing well. It sounds like you’ve both gotten to a good place. I felt some real peace in your New Years post, a sense of letting go of something clenched inside. Having been on both sides, I have come to believe being the caretaker takes a very tough toll. I think especially so for someone who has been a manager, in charge, a problem solver. Also, tough on the advocate to be sort of a monkey in the middle between doctor and loved one, loved one and family, job, friends, world. You have had that even more with Charley’s kids given how they have been to him. I think you should post his letter or maybe publish it to give to patients and their family. Maybe you could write a piece in it as way from the caretaker point of view. For us, Doug has an MRI on the 23rd. This should be the last test…and then, a plan at last, at least that finally seems to be where we are. I’m better with a plan! Meanwhile, it seems to be getting more and more difficult for new writers to have novels accepted by publishing companies. I understand that the companies expect to make a loss on ‘first’ novels, so want to be assured that there are more novels in the pipeline before they publish the first one. There’s also the strong trend to genre writing – e.g. if the first they publish is crime fiction, they want more of the same, even if the writer wants to do something completely different. I suspect that for many writers, self-publishing is the way of the future, but without the professional backing and street-cred that a publisher’s name can bring, that can be a tough call too. This post is sure to be useful to many readers and your irresistible photos are a bonus with a long read. One day I will write about my own publishing journey but in short, mainstream publishers from 1975 to about 1995. Then self publishing became attractive as publishing houses shrank and shrivelled. Each path has its own delights. Now many face the publish/don’t publish dilemma and you have given readers (writers) a good steer. Best of luck. Thank you, Rachel. I would love to read about your publishing journey and hope you will write a post on it some day soon. From comments on this post, I’m finding everyone’s journey very different and I think the best advice is to leave all avenues open and in the end, rely on your own self to make a choice that fits your personality (at the time). Hey Clare, your blog is inspiring and I can’t wait to read your murder mystery. I hope to be published one day even though I am not on the verge of doing that just yet. I am sure you are a great writer and getting your books published will be worth it. Thank you. It needs a lot more work before it’s ready to print. Now, since you’re a blogger, you actually are already publishing. So, I promise you, getting your book into print and out there will be a breeze. Any help I can offer when the time comes, I’d be more than willing. Right now I’m dealing with getting two very different types of books published and I’m actually wondering if just leaving the manuscripts in my word file on the computer and not publishing them is a sane option. I’m sure I’ll feel differently when I see them in print. Thanks so much for stopping by and commenting. I perfectly understand 😉 this dilemma.